What If You Can't Be Happy Practicing Law? If you are unhappy practicing the law, join the club. Statistics say that lawyers in general are a depressed group of people. Suicide rates, substance abuse, and job pressure tell half the story; the other half are just unhappy people. It's enough to make you give up law practice, but this blog post is not about career change. If you can't be happy practicing law, try changing your perspective instead. Instead of staring down the barrel of an unhappy career, researchers looked at what makes lawyers happy. They found it's not the money, the prestige, or even the pro bono feels. It's mostly about autonomy and mastery. 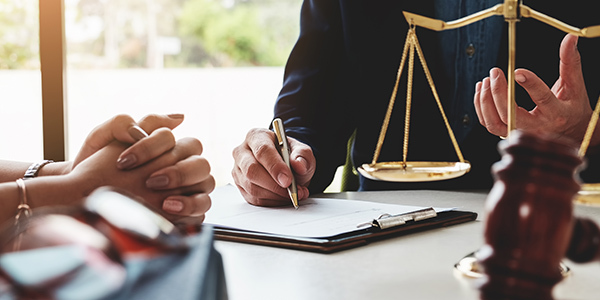 "Lawyers who are highly autonomous feel like they can make their preferred choices and can express themselves authentically," wrote Paula Davis-Laack for Forbes. If you feel trapped in your job, you don't have to quit the law. Maybe it's just time to break free. It works for many businesses, where studies show that people working more autonomously are four times more productive. Davis-Laack, citing the research of law professor Larry Krieger and social scientist Ken Sheldon, said happy lawyers are the masters of their domain. "Mastery is your desire to get better at something that matters to you, to feel competent and be successful at difficult tasks," she wrote. Of course, there are many ways to find happiness in your work. And sometimes the best way is to change careers. But things could be worse. Abraham Lincoln, for example, was a gravedigger before he practiced law.